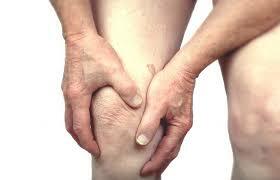 Arthritis is a condition that causes pain and stiffness of the joints. Occasionally, arthritis can also cause redness, swelling, and warmth in the joints. In severe cases, joints may become misshapen. There are different kinds of arthritis. Two common forms are osteoarthritis and rheumatoid arthritis. Examples of other forms of arthritis include gout, ankylosing spondylitis, and arthritis that can happen after an injury or with some infections, such as Lyme disease. Rheumatoid arthritis: This chronic, system inflammatory disorder may affect many tissues and organs, but principally attacks the joints, producing an inflammatory synovial joint that often progresses to destruction of the joint cartilage and creates rigid joints. Osteoarthritis: A form of arthritis, affecting mainly older people, caused by chronic degeneration of the cartilage and synovial membrane of the joints, leading to pain and stiffness. Although you may associate malnutrition with hunger in third world countries, mal- nutrition, in fact, is simply lacking nutrients necessary for a healthy lifestyle. Patients with Rheumatoid arthritis are considered to be at nutritional risk for many reasons. One cause of poor nutritional status in this patient population is thought to be the result of weight loss and a general loss of vitality and strength linked to cytokine production. In patients experiencing chronic inflammation, the production of cytokines, such as interleukin-1 and tumor necrosis factor, increases resting metabolic rate (daily caloric burn) and protein breakdown. The patient then is faced with the challenge of increasing both calorie and protein intake to meet the nutritional requirements of the increased metabolic rate. Food preparation and purchasing can often be challenging for those living with arthritis. The pain and swelling associated with the disease makes cooking and shopping uncomfortable and difficult. In such cases, a grocery home delivery service is quite beneficial; allowing patients to select their purchases online and have them brought right into their freezer. The effects of arthritis medications that are frequently taken long-term may also compound nutritional problems. One example of this is observed in patients receiving methotrexate; such patients are frequently identified with folic acid deficiency. Sources of folic acid include dark leafy green vegetables and fortified breads, cereals and grains. 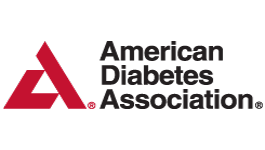 Additionally, prolonged dosing of other RA medications may be associated with conditions such as gastritis or peptic ulcer, frequently reducing a persons desire to eat. Numerous studies have shown that antioxidants are highly beneficial for those suffering from arthritis. Increased intake of antioxidants, such as selenium and vitamin E, may decrease free-radical damage to joint linings, which diminish swelling and pain. Antioxidants are contained in such foods as berries (blueberries, cherries, rasp- berries), grapes, oranges, plums, peppers, artichokes, beans, lemons and others. Beta-cryptoxanthin is classified as a pro-vitamin carotenoid. In the body it can be converted to an active form of vitamin A. Vitamin A is recognized as being important for skin and bone health, as well as immune function. Beta-cryptoxanthin is contained in yellow or orange fruits and vegetables. Vegetables: peppers, pumpkins, and winter squash are the vegetables with the highest levels of beta-cryptoxanthin per serving. Fruits: tangerines, and papayas are the fruits with the highest levels of beta-cryptoxanthin per serving. Zeaxanthin is another carotenoid with antioxidant power food sources of zeaxanthin, including green leafy vegetables and yellow/orange fruits and vegetables. Research from the University of Manchester supports studies that have concluded dietary antioxidants, such a carotenoids, beta-cryptoxanthin and zeaxanthin as well as vitamin C, may be related to reducing the effects of arthritis. Studies have shown that changes in diet can impact the lives of arthritis sufferers. For example, consuming seafood high in Omega-3 fatty acids can often decrease the inflammation of joints associated with arthritis! Other foods proven to reduce inflammation include strawberries, foods rich in fiber, and olive oil. Of course, as mentioned, products rich in antioxidants also help prevent and reduce arthritis. As numerous studies have shown, eating a healthy, balanced diet is the first step to a clean bill of health. If you have any questions about health and diet, feel free to contact our dieticians and nutrition experts for more information. You should always contact your physician before making any dietary changes. We look forward to working with you to improve your health and prolong your life. There are numerous supplements that have been proven to manage and minimize the risks and effects of arthritis. Supplementation of calcium and vitamin D are recommended to decrease the risk of osteoporosis, that results from nutritional loss of the disease, from menopause and from concurrent steroid therapy. Foods rich in calcium and vitamin D include yogurt, milk, cheese and other dairy products. Study source: Dietary B-cryptoxanthin and inflammatory polyarthritis: results from a population-based prospective study. American Journal of Clinical Nutrition. August 2005. In addition to eating a healthy diet, supplementation can be effective in managing and treating arthritis symptoms and medication side effects. Below is a list of supplements that are recommended. Make sure a company manufactures them with NPA’s certification for good manufacturing practices. Your doctor may recommend additional supplements. A diet rich in vegetables, fruits, quality protein and anti-inflammatory heart healthy fats can help reduce symptoms of inflammation and arthritis. Stick to one-ingredient foods and avoid processed foods out of a can, box, bag, etc.